Huawei is incredibly keen on snatching the “first 5G phone” title. Initially, Huawei promised its 5G phone — which many suspected would be the Mate 30 series — would be ready for the second half of 2019. 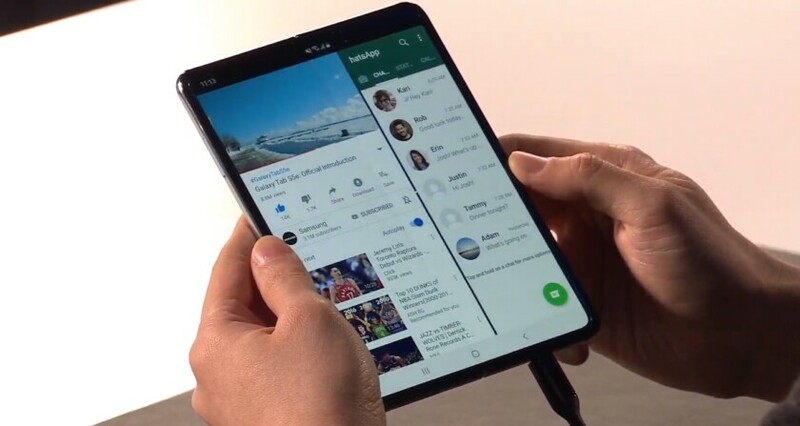 However, as it turns out, the first 5G phone announced by the company is the Huawei Mate X, which also happens to be the first phone from Huawei with a flexible display. In terms of its 5G support, the Mate X will have Huawei’s in-house Kirin 980 and Balong 5000 modem. the company claims the phone is capable of 4.6Gbps downlink speeds, which is double the industry standard for 5G and ten times what’s currently available with 4G networks. That bandwidth means you can download a 1GB movie in just three seconds at sub-6GHz speeds. In its closed smartphone mode the Huawei Mats X has a 6.6-inch front screen and a 6.38-inch rear screen. When the phone is folded out to its full tablet size, it has an 8-inch display. It also has 8GB of RAM, 512GB of internal storage and two batteries on either side of the fold that have a combined size of 4,500mAh. The Huawei Mate X is scheduled to launch this summer for the price of 2,299 euros or about $2,110. It’s going to be just the first 5G phone from Huawei. While HTC will likely launch a 5G smartphone, its first hardware device with 5G support will be the HTC 5G Hub. It uses Qualcomm’s Snapdragon 855 processor and its X50 5G modem. However, this will be more than just a mobile hotspot. It has its own 5-inch display for watching movies, playing games and more. In addition, it runs a full version of Android 9.0 Pie, which means it could serve as both a smart display as well as a hotspot. It can connect up to 20 devices wirelessly and there’s a big 7,660mAh battery if you want to take it on the road. The HTC Home Hub will be available from several wireless carriers worldwide, including Sprint in the U.S., EE and Three in the U.K., Telstra in Australia, Deutsche Telekom in Germany. and Sunrise in Switzerland. Prcing for the device has not been revealed but it is expect to go on sale in the second quarter of 2019. LG had promised to launch “the first 5G smartphone in America in early 2019” in partnership with U.S. carrier Sprint. During MWC 2019, LG officially announced that phone, the LG V50 ThinQ. Basically, its a souped-up version of the LG V40, with a faster processor in the Qualcomm Snapdragon 855, a bigger battery with a size of 4,000 and of course its 5G support. The 6.4-inch LG V50 also has 6GB of RAM, 128GB of onboard storage, and the same five camera set up (three in the back, two in the front) as the older LG V40. The LG V50 is also the first phone in the new direction for the V series, as LG has confirmed that it and future editions of the V models will all support 5G. Sprint says it will sell the phone later this spring, and Verizon has also confirmed it will sell the LG V50 later in 2019. Pricing for the phone has not been announced. 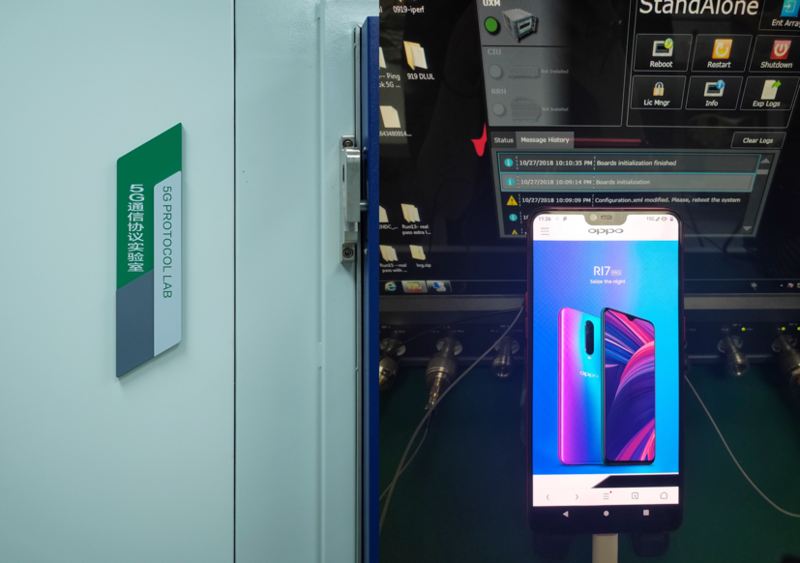 At MWC 2019, OnePlus showed off a prototype of its first 5G phone, but in a case designed to keep its real design secret from the public. We know that the phone will use a Qualcomm model, and during the trade show, OnePlus allowed attendees to play games on the phone with a connected Xbox controller. However, the games they were playing were being streamed from a cloud server, via 5G, to the phone, to showcase the low latency that 5G hardware and networks can provide. In the meantime, OnePlus is running a contest designed to inspire people to come up with app ideas that will take full advantage of 5G speeds. You can enter the contest by just submitting a video with you discussing your 5G app idea. OnePlus will pick 20 semi-finalists, and the OnePlus fan community will then vote for the five winners, each of which will get 50,000 euros (~$56,863) and other prizes, including (of course) the first OnePlus 5G phone. The winners will also get some kind of help that will hopefully make their 5G app idea a reality. However, OnePlus also owns your 5G app idea forever if you enter. If you can live with that, you can enter the contest at this link. Samsung, like so many other OEMs, is hoping 2019 will change all that, as new technology finally comes to the market. Chief among those technologies is 5G. Samsung has already revealed its own 5G-ready Exynos modem but more importantly, it will launch at least two 5G phones in 2019. The first will be the Samsung Galaxy S10 5G, which will be the biggest handset in the Galaxy S10 family of phones, with a massive 6.7 inch display and a huge 4,500mAh battery to power the screen and its 5G hardware. Inside, there will be the Qualcomm Snapdragon 855 processor (for the U.S. version) along with 256GB of onboard storage and 8GB of RAM. It will have four cameras in the back (12MP, 12MP, 16MP and a 3D depth sensor for AR effects), and two front cameras (10MP and another 3D depth sensor). The Galaxy S10 5G phone will go on sale in the first half of 2019. It’ll reach Verizon first, with AT&T, Sprint, and T-Mobile to follow later. It will also be released in Australia, France, Germany, Italy, Spain, Switzerland, and the United Kingdom. There’s also no word on a price, but expect it to be very, very expensive. Samsung also announced it will release a 5G version of its Galaxy Fold phone. This device will have a flexible display that, when folded in, will act like a 4.6-inch smartphone with its external screen. When it is folded out, it will turn into a 7.3-inch tablet device. It will have an unnamed 64-bit 7nm processor, 12GB of RAM and 512GB of storage inside, along with two batteries totaling 4,380mAh. It will also have six cameras: three on the back, one on the front, and two on the inside. The standard 4G version of the Galaxy Fold will go on sale on April 26 for the already expensive price of $1,980. The 5G version doesn’t have a release date, and its price should be much higher. AT&T and T-Mobile have confirmed they will sell some version of the Galaxy Fold, but it’s unclear if they will offer the 5G version when it goes on sale. As for Sony’s 5G phone itself, the company showed off a prototype for such a device, under glass, at MWC 2019, that looked very much like its newly revealed Xperia 1 phone. However, in a chat with TechRadar, Mitsuya Kishida, the President of Sony Mobile, stated that the company is not rushing to launch its first 5G phone to market, and it would rather wait until the full rollout of 5G networks is underway. Xiaomi recently revealed the almost completely bezel-less, slider-packing Mi Mix 3, confirming a 5G variant of the handset is on the way in Q1 2019. The company revealed that the phone, to be called the Mi Mix 3 5G, will have the same design as the standard Mi Mix 3, but will have Qualcomm’s Snapdragon 855 chipset and Qualcomm’s X50 5G modem. It will also have a larger 3,800mAh battery. Other specs include a 6GB of RAM, 64GB or 128GB of onboard storage, a 6.39-inch full HD+ OLED display, a 12MP+12MP telephoto rear camera setup, a 24MP+2MP front camera setup, a rear fingerprint scanner, and a dedicated Google Assistant key. It will go on sale in May in Europe and China for 599 euros (~$679). During MWC 2019, the company announced the Axon 10 Pro 5G phone. 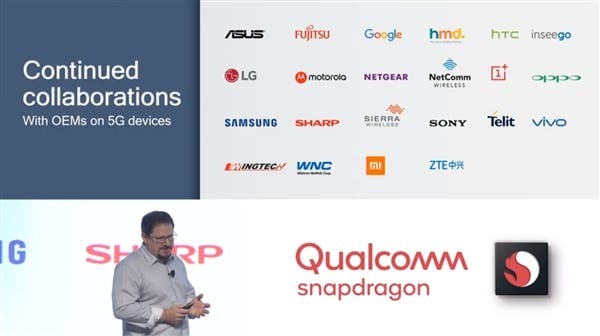 Like many of the phones on this list it will use the Snapdragon 855 chipset and SDX50 5G modem and it will also have a triple rear camera setup and a number of AI features. ZTE has not revealed much more in the way of this phone’s hardware specs, although the renders indicate it will have an in-display fingerprint sensor and a dewdrop notch for its front camera. It will go on sale in the first half of 2019 in Europe and China. Pricing has not yet been revealed.